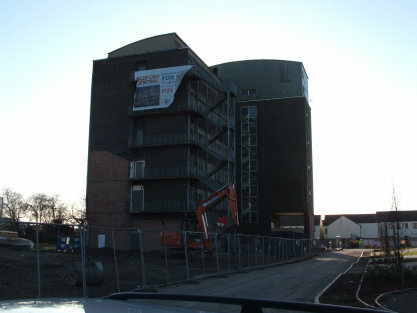 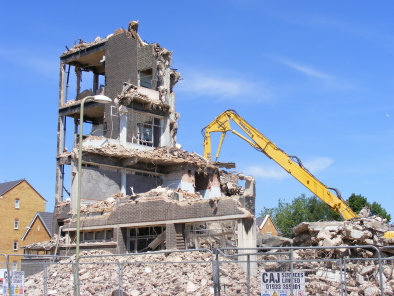 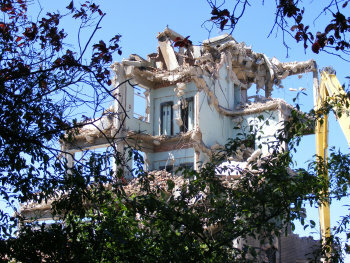 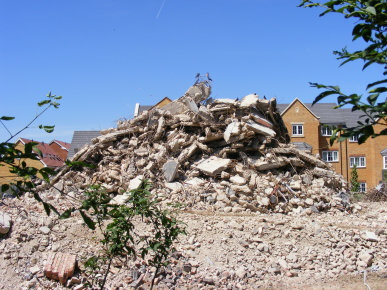 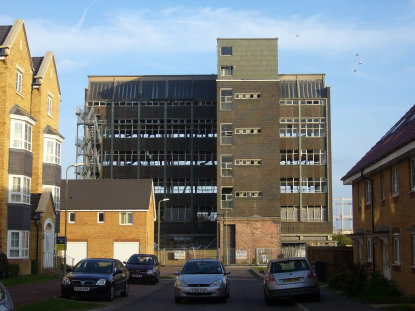 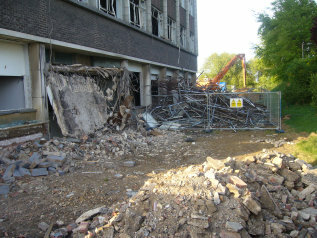 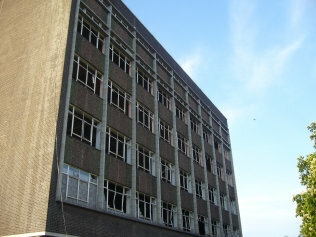 In May of 2009, after many failed attempts to find a use for the “New” office block, it’s demolition began. 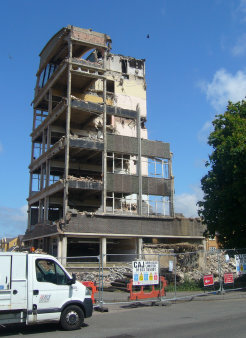 For those of us who had seen the building of the block, and spent many hours of our working life on one of it’s five floors, the sight of it’s demise was not without considerable sadness. 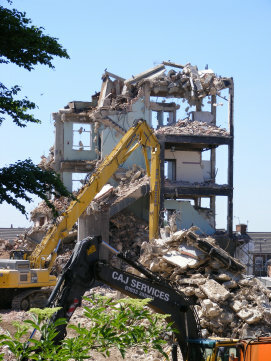 A small pleasure was gained from knowing that it’s structure was sound, and it did not give the demolition company an easy ride. 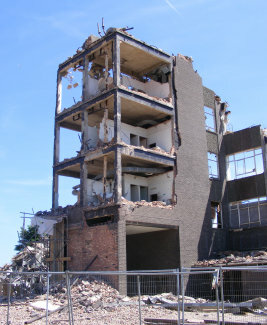 It took over two months to completely flatten it.